Remember that you’re going to make mistakes while running your business. It’s okay to make a few mistakes. But most financial mistakes are the results of lack of financial knowledge or poor planning. 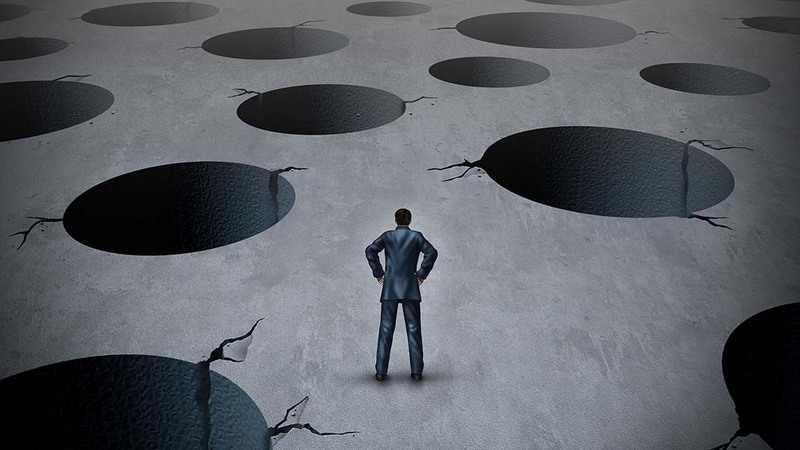 Here are the most common pitfalls to avoid when securing funding for your small business. Not choosing the right business partner is one of the most common pitfalls that entrepreneurs make when funding their small business. Choosing the right business partner is more important than you think. Most of your business decisions and endeavors have an impact on the kind of business partner you have. One mistake can cost you millions of dollars. It could also lead to damaged relationships. Choosing the right business partner can prevent you from making these costly mistakes and not repeat them in the near future. Not managing your cash flow is the quickest way to get into debt. As you launch and grow your business, unexpected expenses will occur. Avoid using your credit card for most of these expenses. Using your credit card may help you earn rewards, but it won’t be worth the interest charges and fees associated with using credit cards. Understand your business’s cash-flow to determine your annual and bi-annual expenses. This can help you set aside some money to cover some of these assets. The reason that 9 out of 10 small businesses fail is that they run out of money. Do you have enough cash for your business? Understanding your cash flow and financial statements can help you keep up with these expenses. Some business owners find it better to raise money from multiple investors at a high valuation. If you raise funds from investors at a certain valuation, problems are bound to raise. You should set your price offerings at face value or you’ll end up overvaluing your business. Undervaluing your business is just as bad. If you raise your funding at a low valuation, you’ll give too much of your ownership to the investors. In addition, they’ll lose their opportunity for financial success. When it comes to setting and meeting fundraising goals, you want to make sure you set your company at a value that’s quantifiable and measurable. You should check out several investors before you set your sights on one. You should evaluate each of the potential investors as they check out your small business. This will make managing your business even more difficult if you receive bad business from inexperienced investors. Investors with a bad past can prevent more reputable investors from investing in your company. Read the terms and conditions before you sign the contract. If you don’t understand anything, ask questions. It’s worth going over your contract with an attorney, especially if you intend to use these contracts more than once. This can prevent mass confusion, disagreements, and misunderstandings, which will save you time and money. There are different types of equity and debt funding. Here, you’ll learn about debt funding. The different types of debt funding include banks, SBA loans, and small business lenders. Banks offer small business loans, but will sometimes want loans that come with assets. While the Small Business Administration has many financial programs, these loans often come with a promise that it will be repaid. How does the SBA define small business? According to a June 2016 report, over 99.9% of percent of businesses in the U.S. are considered small businesses. If you own a business with at least 250 employees then you qualify as a small business under the SBA’s official definition. There are plenty of organizations who provide lending to small businesses of all kinds. However, these lenders want the loan to come with assets of some kind, and the rates are higher than other business loans. Investors should meet the Securities Exchange Commission’s definition of “accredited investors.” That means you shouldn’t accept money from family, friends, neighbors, or anyone else who doesn’t fit the guidelines. This can lead to more problems than it’s worth. Although someone else may have your best interests at heart, you should carefully evaluate the potential rewards and risks of using non-accredited investors. You’re human. You’re bound to make mistakes. However, some business mistakes are costlier than others. You want to protect yourself every step of the way. Remember to get everything in writing. Look over the terms and conditions before signing any contracts. Choose the right people who are truly interested in your business. Select from a group of knowledgeable and experienced investors that you will benefit from. While your friends and family care about you, they’re probably not the right investors for your venture.